Located in the beautiful valley of Rishikesh – the ‘Yoga Capital of the Globe’, Rishikesh Yogis Yogshala is one of the most renowned schools for Yoga Instructor Training in Rishikesh, India. In addition with Yoga Alliance Accredited Yoga Teacher Training Certification Courses, we also specialize in conducting highly invigorating and traditional Yoga and Meditation Retreat Programs in India. Enliven an authentic yogic experience in Ashram environment and attune your body, mind and spirit with the knowledge and training of authentic Yoga. Get trained by internationally experienced yoga experts, teachers and spiritualists. Enliven an authentic yogic experience in Ashram environment and attune your body, mind and spirit with the knowledge and training of Yoga. Get trained by experienced yoga experts, teachers and spiritualists. Earn the status of globally recognized Yoga Instructor with Yoga Teacher Training Certification in India at Rishikesh Yogis Yogshala. Hail to the spiritual town of Rishikesh, the land of holy river Ganges and embrace the yogic experience in the lap of Himalayas. Become a globally certified yoga teacher with our 200 Hour Yoga Teacher Training Course in Rishikesh, India. Rishikesh Yogis is one of the most authentic yoga schools in Rishikesh and is recognized by Yoga Alliance, USA. Upon completion of our 200 Hour Yoga Teacher Training Course in Rishikesh, you gain in-depth knowledge and understanding in traditional subjects like Hatha Yoga, Kundalini Yoga and Ashtanga Yoga . At Rishikesh Yogis, we aim to teach yoga in its purest and most traditional form. Attain peace in your body, mind and spirit with the learning and practice of Hatha Yoga Teacher Training Learn and exercise the inner core to align your mind, body, spirit in a harmonious rhythm. Embark on your journey of self-discovery and enhance your physical, mental, and spiritual being. Get certified in the most ancient and classical forms of yoga. Spread the benefits of yoga philosophy across the world as a yogi and a skilled Hatha yoga teacher. Get sculpted and certified with the Ashtanga Yoga Teacher Training in Rishikesh Learn and practice the most invigorating style of yoga with the Ashtanga Yoga Teacher Training. Earn your certification in the most physically challenging and mentally stimulating style of yoga. Practice the art of Ashtanga Yoga to evolve mentally, physically, and spiritually. Spread this dynamic form of yoga all over the globe by becoming an accomplished Ashtanga yoga teacher. Yoga is a universal science that places no bias among its followers. The science can be adopted by anyone, irrespective of age, creed, religion, body type, disorders, etc. Renowned for its Yogic Excellence and Authenticity, Rishikesh Yogis Yogshala offers the perfect solace and a highly enlightening experience of Yoga to its participating students. Yoga Retreats at Rishikesh Yogis are an awarding experience. What make these retreats even more exclusive is the option to customize these according to individual yogi’s or group requirements. These yoga retreats are usually spread over a time period of 3days – 10 days. During these yoga vacations, you shall delve deeper into the knowledge of yoga, attain deeper meditation techniques and you shall be introduced to fresh new ideas as well. 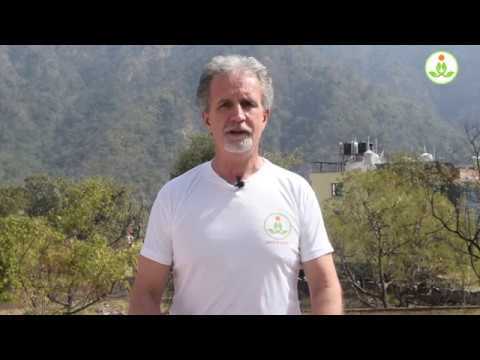 The 10-day Kriya and Kundalini Yoga Retreat program offered by Rishikesh Yogis is one of the most intensive and insightful programs currently taught in Rishikesh, India. It is a very progressive program consisting of modules to deepen one’s awareness, experience and understanding of Kriya and Kundalini Yoga traditions in systematic fashion. Soak in a divine yogic experience with our Yoga and Meditation Retreat in Rishikesh, India. Seek the route to reconnect with the body, mind and spirit by indulging in unique yoga and meditation practices during this wonderful retreat program. Sadhana is a focused spiritual endeavor to achieve internal, as well external purification and harmony. We, at Rishikesh Yogis Yogshala, offer Intensive Chakra Sadhana Retreat in the holy town of Rishikesh, India. Truly one of a kind, the retreat is designed to take the participants on a life’s journey of mental and spiritual awakening. Learn practices that help trauma survivors re-connect to their bodies in healthy and meaningful ways. Our beautiful ashram setting is the perfect place to spend time in nature and process what you learn. These 7 days will provide you will several tools for processing trauma and equip you to help lead others through a healing journey of mind and body. Every person and group have unique interests and needs. Let us customize a retreat that is exactly what you need. Use the form below to select the topics and activities that you are most interested in. We will then design a custom schedule for your group. Are you looking for a way to feel healthier, less stressed, more in tune with your body, mind and spirit? Have you thinking of where to plan your next international trip? Has the magic of India called your name for some time now? Learn Yoga from experienced and internationally renowned yoga teachers recognized by Conde Nast Traveler and Spa Finder magazines. Dwell in Ashram facility and experience authentic yogic lifestyle. Best Yoga and Meditation hall. Rishikesh Yogis Yogshala is blessed with spacious yoga halls that do not look like conference rooms. We provide cozy and comfortable abode to our students where they get to dwell in Ashram environment for experiencing true yogic lifestyle. The students are offered delectable Yogic food. Meditation practices to calm the soul in a solitary environment and Organic farms are the major highlights. Prepared by our chefs specializing in Ayurvedic Cooking, relish highly palatable and wholesome yogic food that is freshly sourced from our organic farms. Our Self Sufficient Organic Garden, nestled beside the foothills of the Himalayas in Rishikesh, India. The farm is maintained by our resident chef Bandhu; Hindi for ‘Friend’. He looks after the land with 3 other farmers, as well as his wife and cooking partner. Throughout your stay, you will be invited to help harvest, cultivate and fertilize the land with the chefs and farmers; picking produce and turning over the soil as part of our cyclical nature of giving and receiving. Overlooking the beautiful Himalayas, live the true yogic life at our Ashram. All this, while enjoying the amenities of a minimalist contemporary lifestyle for a comfortable stay. We provide simple, clean shared accommodation at our ashram. On special request single accommodation can be provided at additional cost. 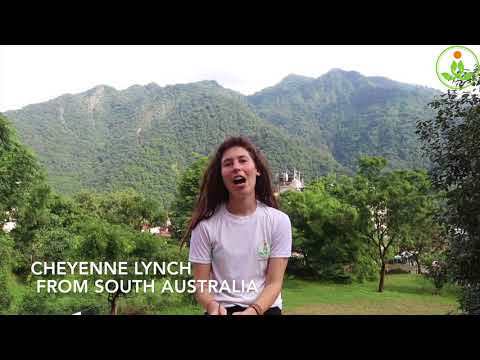 We love to share photos of beautiful Rishikesh from our current students and alumni. At Rishikesh Yogis, we believe yoga is a life-style. It is not a technique or a mere practice; it is how one can lead their life towards its betterment. Our yoga retreats and training sessions lead you to immerse yourself into the yogic lifestyle while dwelling in an ashram style setting, alongside experienced and dedicated yogis. Follow us @rishikeshyogis to stay up to date. My opportunity to meet Sushant, Abhi and Uttam has opened my eyes to the scope to which the term Yoga really means. These humble and gracious men taught me about the ancient philosophies, meditation techniques , pranayama, asanas, chanting and in general we're true examples of how to live a Yogic life. Beyond the organised classes I learnt many life lessons, had many many laughs and enjoyed the stories I was told. So many of the things I have learnt from these men have helped me move forward in my life and I will always be grateful. Thank you Rishikesh Yogis. See you when I return. I had the pleasure of being taught by Uttam, Abhi and Sushant at a retreat I attended in Rishikesh. I had absolutely no experience with yoga or meditation before the retreat and these 3 amazing men managed to teach me so much in that time that my life will be changed forever. Like many westerners I was under the belief that yoga consisted of doing poses for an hour or so a day and meditation is sitting quietly trying to stop all your thoughts. I was so wrong! I was introduced to so many aspects of yoga and meditation I didn't know existed, the intriguing indepth history, how yoga and meditation blend perfectly and how to incorporate it a into every part of my life to get endless benefits and break throughs in my personal life. The retreat had all levels of experience in it, but the teaching is so well done that I never felt like I was left behind. I cannot recommend these teachers high enough as their always happy, loving personalities match their 5 star knowledge and teaching. My time at RYY surpassed all expectations. It's like Harvard or UCL for Yoga. The theoretical knowledge and practical learning ratio is as balanced and traditional as the teachers. With over 30 academic years of philosophical study at some of the worlds most renowned schools of yogic thought shared between the directors / teachers, you will be awakened to what the true essence of yoga really, noth theoretically and practically. You will also be equipped enough to deliver all you've learned back home with CONFIDENCE. 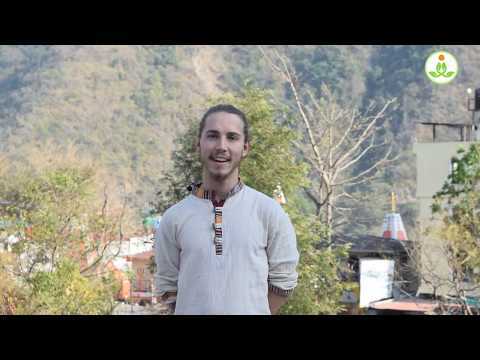 This is the beginning of my journey with RYY, and the ancient traditions of yoga. Here's to the future.